C. Pescennius Niger was born sometime between 135 and 140 AD of humble origin. He had a long and honorable career in the army, but did not display any exceptional victories. In 189 AD he held the consulship and in the following year was appointed Governor of Syria by 191 AD. 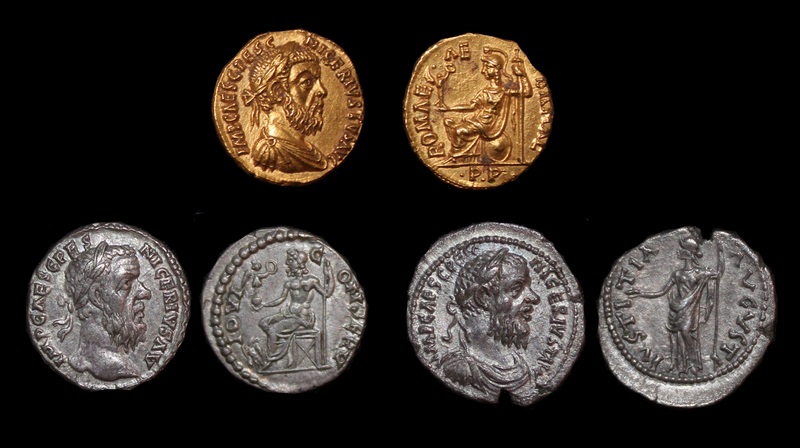 Following the murder of Pertinax, Niger was proclaimed Emperor by his troops during April 193 AD while in Syria. 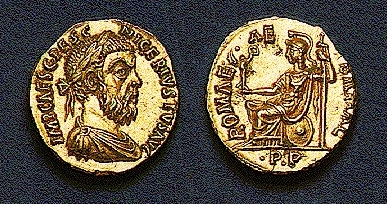 Pescennius Niger seems to have had a reputation for integrity yet he was also a man of discipline. Niger was indeed perhaps a bit cautious after being declared Emperor by his troops. His forces were at first overwhelming yet he delayed any attempt to march on Rome seeking instead to perhaps further strengthen his troops. Had Niger begun to march upon Rome from the outset, other legions throughout the East would have most likely joined his cause against the disgraceful appointment of Didius Julianus in Rome. It was that hesitation on the part of Niger that provided the window of opportunity for Septimus Severus to begin his march toward Rome. With Severus’ legions nearing Rome, the Senate declared Julianus a public enemy and ordered his execution no doubt to save Rome from the legions that were marching nearer by the day. For that reason, Severus had the upper hand over Niger when it came to the Senate. Severus, after having secured Rome, turned his attention to his rival in the East, and thrice defeated the forces of Niger. Pescennius Niger then concentrated the remnants of his army at Issus in an effort to make a last stand. Nonetheless, Niger was again defeated for the fourth time and fled towards the Euphrates in vain. He was eventually overtaken and executed by Severus.